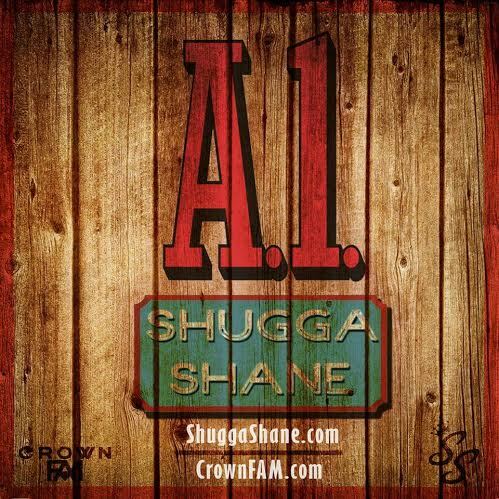 Shugga Shane drops “A1” for FREE download! West Coast stand up! Shugga Shane is back with a dope flow for all the hustlers & independent grinders! If you’re a real one, if you keep it a 100 with your people, than this is for you. “A1” features production from Gang Jah Warrior, who laced the beat with a classic hip hop sound. Originally featured on his acclaimed “L.A. Kings” mixtape, but remastered in 2015 for single release. So enjoy this FREE download & spread the word! Peace, Follow @ShuggaShane1 on Twitter|Instagram ! This entry was posted in Music and tagged A1, Banger, bcf, CA, cali, coast, crown, crown fam, dope, drake, family, fire, game, hip hop, hot, independent, LA, meek mill, music, new, new music, Nipsey Hussle, rap, shane, shugga, Shugga Shane, Trill, truth, west by Shugga $hane. Bookmark the permalink.